At approximately 7 p.m. on January 17, 1950, seven armed men walked into the Prince Street entrance of the Brinks Building in Boston. Each man was carrying a pistol, wearing a Navy-type P-coat, chauffeur’s cap and wearing a Halloween-type mask. Each carried a pair of gloves. One man, Joseph “Specs” O’Keefe wore crepe-soled shoes to muffle his footsteps; the other men wore rubber boots. The men quickly entered the Brinks building and donned their masks. Within half an hour the seven men had looted the premises of $1.2 million in cash and $1.5 million in checks, money orders and other securities. By prior agreement the seven men handed their stolen money over to a Mafia syndicate for safekeeping. Their agreement was to not touch the money for at least seven years – when the statute of limitations for the crime would have passed. The seven men scattered. 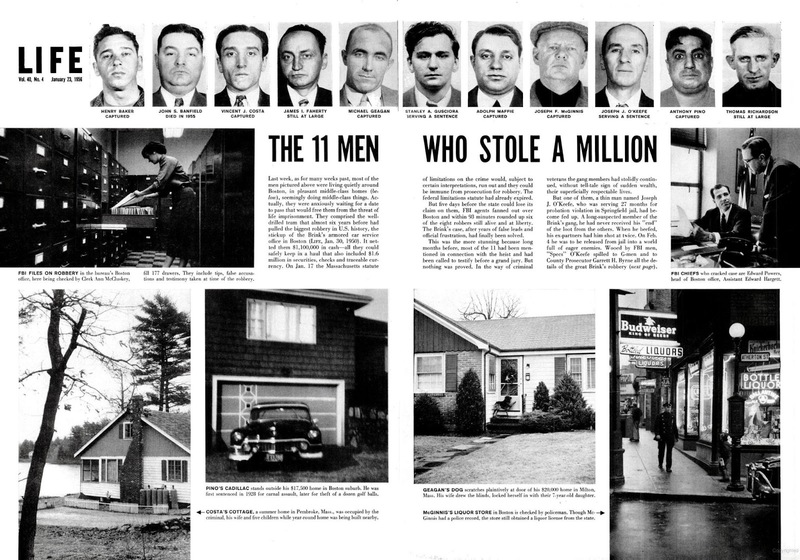 It was the largest bank robbery in the United States at the time and came to be known as the Great Brinks Robbery. It took the FBI six years to crack the case. Two motion pictures and countless books have been written about the robbery and its aftermath. 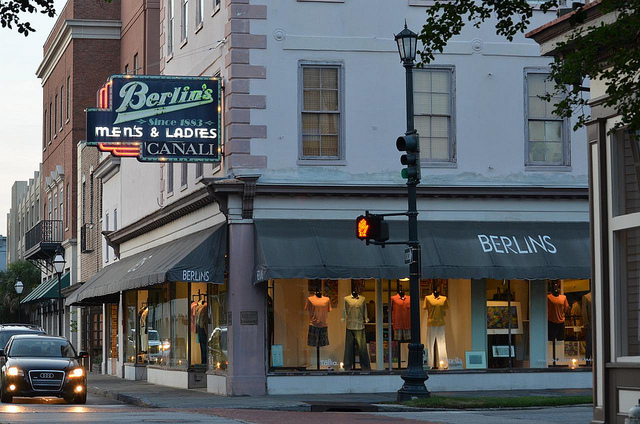 What is not well known, however, is Charleston’s connection with the Great Brinks Robbery and some of the mobsters who ended up living down South. Soon after the robbery, the police were hot on the trail of every known crook and thief in Boston. Some of the early suspects included Joseph “Specs” O’Keefe, Henry Baker, Anthony Pino, Joseph McGinnis and Stanley Gusciroa. Six months after the Brinks job, O’Keefe was arrested in Pennsylvania. The police discovered stolen merchandise in his car, unrelated to the Brinks job. O’Keefe was sentenced to three years in the Bradford (MA.) County Jail for robbery. During O’Keefe’s confinement law enforcement officials keep hearing rumors that O’Keefe was putting pressure on the Boston mob to release his take of the Brinks money in order to pay for his legal problems in Bradford County. The FBI began to put pressure on O’Keefe, hoping he would rat out the Brinks gang. O’Keefe steadfastly denied any knowledge of the Brinks robbery. In fact, in December of 1952, almost three years after the Brinks job, a federal grand jury held hearings and issued a report that there was insufficient evidence to indict anyone for the Brinks robbery. The FBI was more frustrated than ever. O’Keefe finished his sentence in Bradford County and he was taken to McKean County to stand trial for burglary and receiving stolen goods. He was released on $17,000 bond. While free, O’Keefe continued his efforts to get his Brinks money. He was becoming bitter toward some of his partners and feared he may never get his money. On June 5, 1954, O’Keefe was driving in Dorchester, Massachusetts when another automobile pulled along side. Immediately suspicious, O’Keefe crouched down low in the front seat just as several bullets shattered his windshield. On June 14, O’Keefe paid a visit to Henry Baker, one of the Brinks partners. Baker was getting nervous about O’Keefe’s constant visits. Baker pulled a pistol and shots were exchanged between the two men, but no one was injured. Two days later, O’Keefe was attacked in his neighborhood, a quiet housing complex off Victory Road. A slender man carrying a machine gun sprayed bullets at O’Keefe, who took off running. For the next half hour, the shooter chased O’Keefe around the neighborhood, over fences, through back yards and alleys, with the machine blasts peppering buildings and trees. When the police sirens finally began to wail in the distance, the shooter fled, leaving O’Keefe lying on the ground, bleeding. He had been shot in the chest and arm, but he was still alive. At the scene the police discovered a lot of blood, a man’s shattered wrist watch and a .45 caliber pistol. They also discovered five bullets lodged in a nearby building. On September 9, 2003, Thomas F. Mulvoy, Jr., of the Boston Globe staff, reminisced about the event. I was eleven years old at the time and living five streets away from Victory Road. I remember well walking down to Victory Road the next day after reading as many newspapers as I could. With scores of other curious onlookers, I tried to come to grips with the awesome shootout that had made our quiet neighborhood temporarily notorious. On June 17, 1954, eight days after the shootout, Boston patrolman Frank Crawford arrested Elmer Francis “Trigger” Burke in the exclusive Back Bay section of the city and charged him with possession of a machine gun. This machine gun was quickly identified as having been used in the attempt on O’Keefe’s life. Police assumed that Burke, a professional killer, had been hired by underworld associates to assassinate O’Keefe. After being wounded in the shootout, O”Keefe disappeared for seven weeks. He was arrested on August 1 at Leicester, Massachusetts and turned over to Boston police for violating parole on a gun-carrying charge. Remarkably, O’Keefe swore out a complaint against Trigger Burke for attempted murder! In 1946, Trigger was arrested for robbing a liquor store. He was arrested by police while sitting in the car outside the store counting the loot. He was sentenced to two years in Sing Sing Prison. During Trigger’s stay in Sing Sing, his brother, Charlie, was killed during a mob gun battle. Trigger swore vengeance for his brother’s death, even though no one ever knew who the killer was. It did not matter to Trigger. Upon his release from Sing Sing, Trigger hunted down the man he suspected of killing Charlie and with a double-barreled shot gun shot the man point blank in the back of the head. With his personal business concluded Trigger went back into the killer-for-hire business. His standard fee for a mob hit was $1000. Trigger soon became known for his efficiency and utter lack of compassion. He also became known for his volcanic temper. One night in a New York tavern, Trigger got into an argument with another man. Within a few moments Trigger had beat the man to the floor and was kicking him repeatedly in the head with his boot. The bartender, Edward “Poochy” Walsh stepped in and stopped the fight. Poochy ordered Burke out of the bar. Trigger went outside and smoked a cigarette. Ten minutes later he walked back in the tavern, pulled out a pistol and shot Poochy Walsh in the face twice. He then stepped around the bar and shot the already-dead Poochy again in the face. “He shoulda minded his own bidness,” Trigger told the stunned crowd, and then he calmly strolled out. 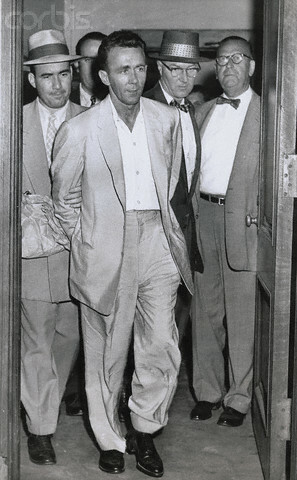 In 1954, the mob hired Trigger to go to Boston and kill Specs O’Keefe before he ratted out the Brinks Robbery gang. After the Victory Road shooting spree Trigger did not leave town. Under the assumption he had killed O’Keefe, Trigger spent the next few days viewing the historic sites: Bunker Hill, the Old North Church and Paul Revere’s house. When he was arrested Trigger was touring the mansions of Back Bay, with the machine gun hidden beneath his jacket. He was held in Suffolk County jail, but on the afternoon of August 28, Trigger escaped. During the regular exercise period, Trigger walked away from the rest of the prisoners toward a heavy steel door that lead to the solitary confinement section. A guard hollered for him to stop, and Trigger began to run. The steel door opened and a masked gunman wearing a prison guard uniform ordered the guard to “Back up, or I’ll blow ya brains out!” Trigger and the gunman fled through the door and escaped in a nearby parked automobile. The automobile was later traced to Anthony Pino, one of the original Brinks gang. Police questioned Pino, but he denied any knowledge of Trigger’s escape. Less than a week later Trigger arrived in Charleston and began to look for rental property on the Isle of Palms. During the search for a rental Trigger was accompanied by Thomas “Duke” Connelly, Jr. Connelly had been the getaway driver in the $305,000 robbery of the Woodside branch of the Chase Manhattan bank in Queens, New York. Connelly had made it onto the FBI’s Most Wanted List and he had chosen the Isle of Palms as an out-the-way hiding place in which to spend his share of the $90,000 loot. The two men were driving the car of Isaac “Issy” Sabel, a Charleston nightclub owner with New York mob ties, and famous for his Manischevitz Popsicles. As they made their real estate rounds the two men introduced themselves as “friends of Mr. Sabel” and told one agent that “money was no object.” Connelly rented a house under the alias “Mr. Kelly”, using Issy Sabel’s name as a reference, and they moved in with Connelly’s wife, Ann, and their two small children. Trigger and Duke quickly became familiar faces on the Isle of Palms. For several months, Trigger and Duke lived the good life – spending their money, fishing, swimming, and boating. The two men even joined the YMCA Health Club where they mingled with the mayor, policemen and other city officials like Judge Ashton Williams. They also spent many evenings hanging out in Issy Sable’s nightclub on Market Street, drinking and being entertained by Issy’s girls. When Trigger mentioned he wanted new clothes Issy sent them to the best store in Charleston, Berlin’s Mens Wear on King Street. Henry Berlin personally outfitted the two mobsters with the best suits, shirts and other attire. When it came time to purchase the shoes Trigger told Mr. Berlin he wore a size 9. Mr. Berlin protested. “A big man like you must have a larger foot.” With an icy glare, Trigger told Berlin he wore a size 9. Months later, talking with the FBI, Henry Berlin related the shoe story. The FBI agent told Mr. Berlin he was lucky. Trigger had been known to kill people for less provocation – like bartender Poochy Walsh. On June 27, 1955, Duke Connelly and his family vanished. A month later the two children were discovered abandoned – one in Wilmington, Delaware, and the other in Baltimore, Maryland. No one ever saw Duke or his wife again. Local rumor persisted that Trigger had discovered where Duke was hiding his $90,000 and decided to make some easy money for himself. There was also a rumor that the money was never recovered and for years afterward, people would dig thousands of holes on the island looking for Duke’s money. In July, under the name of “Mr. Dean”, Trigger rented a cottage on Folly Beach, at 109 Erie Avenue, diagonally across the street from the Folly Beach police department. Unbeknownst to Trigger, on the next block was the beach house of the Charleston Police chief of detectives and the home of the former county police commissioner. He hired a local black woman, Annabelle Richardson, to keep house for him. She claimed Trigger told her he was from New York and was living in Folly Beach as he recovered from an operation. Annabelle described him as an “avid television fan and a frequent reader of local newspapers and ‘gentlemen’ magazines.” Annabelle later told the FBI that she noticed her boss always kept the doors and windows locked, even during the middle of summer. Trigger became a familiar face on the Island, taking afternoon strolls along the beach and boulevard. He made a lot of purchases in town, always paying cash. He bought a 21-inch screen floor model television, a new washing machine, and electric fan and wall clock. Trigger even donated 50 cents to the Jr. Deputies League when they knocked on his door collecting money. He refused extradition to New York so a hearing was scheduled in Charleston, presided over by Judge Ashton H. Williams. Williams said he recognized Trigger the moment he was brought into his courtroom. The judge’s Isle of Palms house was three doors down from Duke Connelly’s and he had often talked with Trigger and Duke at the YMCA Health Club. After the hearing Henry Berlin lamented that no one ever mentioned how good Trigger looked in his fine suit and shoes (the wrong size) from Berlin’s Men’s Wear. During his trial in New York Trigger was questioned about the whereabouts of Duke Connelly and his wife, Anne. Q (N.Y. District Attorney) – Were the Connellys with you at the Folly Beach cottage? A (Trigger) – I refuse to answer. Q – What happened to the Connellys and their two children? A – I refuse to answer. Q – Who gave you the money to live? Trigger was found guilty of the murder of the bartender Edward “Poochy” Walsh, and given the death penalty. On January 8, 1958, he was executed at Sing Sing prison. Before his execution a reporter asked him why he robbed banks and murdered people. Trigger replied, “That’s where the money is. 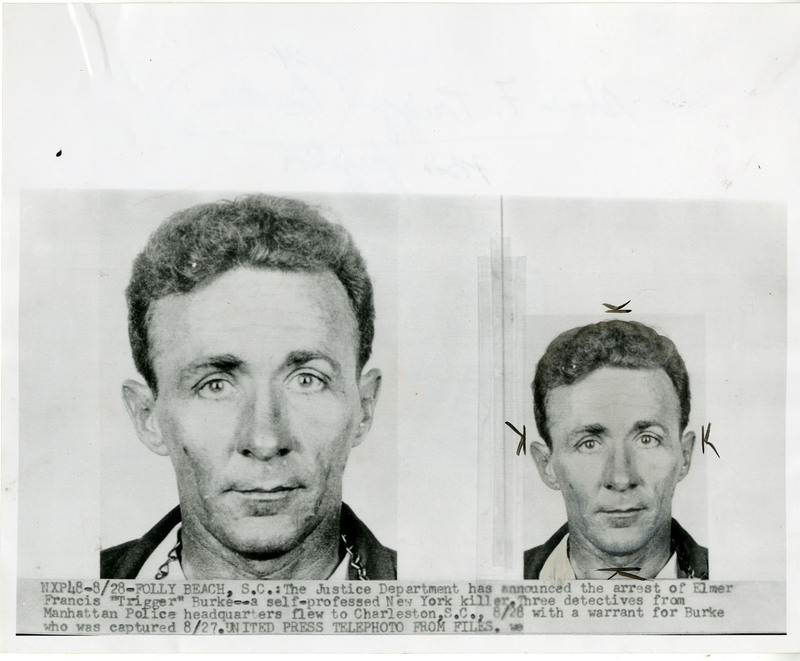 Specs O’Keefe, the man Trigger was supposed to rub out, was sentenced on August 5, 1954, to serve 27 months in prison on a probation violation. As a protective measure, he was incarcerated in the Hampden County Jail in Springfield, Massachusetts, rather than the Suffolk County Jail in Boston. 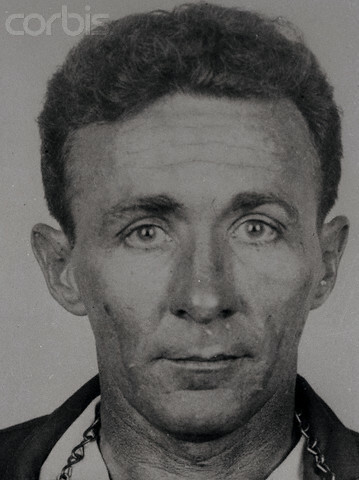 During his incarceration, with eleven days before the statute of limitations was due to run out for the crime, O’Keefe began to cooperate with the FBI against the rest of the Brinks Robbery gang. Due to his cooperation his sentence was reduced. After his release O’Keefe was given a new identity and moved to Los Angeles. After his death in 1976, it was revealed that O’Keefe had spent his last few years as a chauffeur for Cary Grant. Author’s Note: Ashley Cooper, columnist for the Charleston News and Courier, (more formerly known as Frank Gilbreath, Jr., co-author of the classic memoir Cheaper By the Dozen and longtime Charleston resident), weighed in on the Trigger Burke caper in his own inimitable way with this poetic little ditty. Was a New York gunman named Trigger Burke. Name of Connelly, alias the Duke. Took their gold and silver and never gave them thanks. Trigger brought Duke to the Isle of Palms. “Only time they caught me, it was only a fluke. Duke must have felt he was in the middle. What happened to Duke is still a riddle. Minded his manners, quiet as a mouse. “Ain’t the cops dumb Down South in Dixie? “Ain’t the cops dumb? And ain’ they hicks? Safest place to be is here in the sticks. But the cops weren’t dumb and that’s no lie. And trapped like a rat Mr. Trigger Burke. “Put up your hands,” said the FBI. “Face the wall, Trigger, ‘less you want to die. Burke, you’ve been acting mighty regal. Lay down like he was knocked out cold. He heard those words and Burke turned pale. ‘Cause the Seabreeze Hotel is the county jail. The cops brought Trig to the Charleston Court. Covered his face with a spotless hankie. And he said with a sneer that was almost obscene. In a place where no one could take wing. Freedom did happen and Trigger finally died. Not scattered, not smothered, but definitely fried.